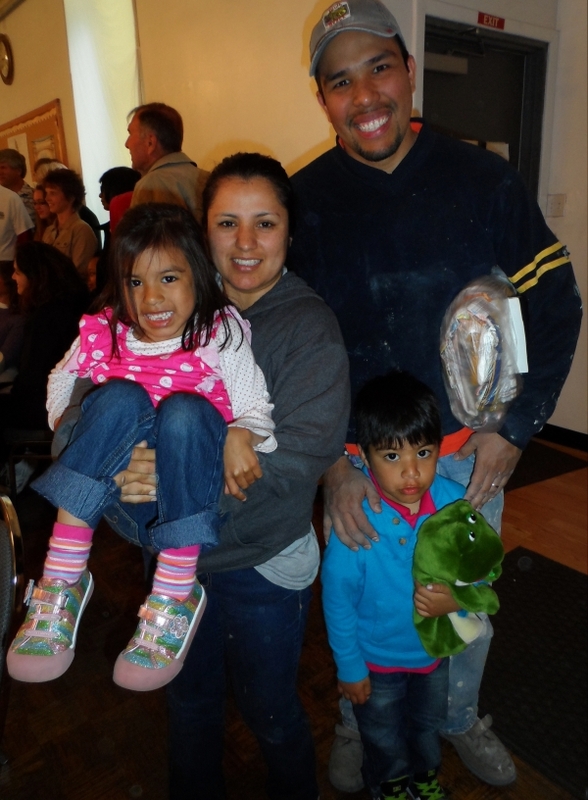 What it's all about: "Mama, I want to go back home"
The Fuller Center expects its homeowner partners to be full partners in the building process — or repair process as has been the case during this week’s Superstorm Sandy recovery project. That’s one reason it’s called Partnership Housing. It’s a hand up, not a handout, that represents empowerment instead of charity. 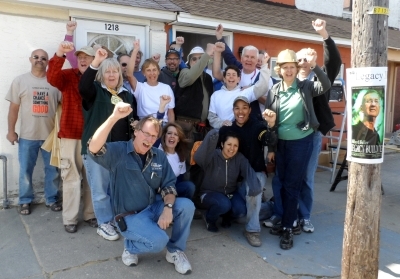 Perhaps no homeowner this week in Atlantic City exemplified that partnership more than did Camilo Leal. For six months, Camilo, wife Maynee and children ages 5 and 3 have lived in a small house off the island after their Drexel Avenue home was devastated by flooding from Sandy. While people with good insurance or more means were able to move back into their homes, the Leal family kept up a difficult commute. They longed for the home just five blocks away from school, five blocks from Maynee’s work and 15 blocks from Camilo’s work at the luxurious Revel on the famous Boardwalk. This week, Camilo was not about to let the opportunity to get his family back in their home slip away. He was up at 7 a.m. to work with volunteers until 4 p.m., when he left for his job as a chef at the Revel. There, he would work until 1 or 2 a.m. and be back at it the next day. “They kept asking me, ‘Are you tired?’” he said of the volunteers working on his home this week. “But I think it’s so exciting to see the house coming back that probably my adrenaline is high for a week, and I don’t feel tired. I’m exhausted. My body is kind of achy and my legs hurt, but I don’t want to stop. Wife Maynee has been working alongside him through it all and is thrilled with the progress this week. It also is exciting for their children who do not fully understand why it has taken so long to go home. Camilo found a unique way to give back with the help of his other family at the Revel, where volunteers working on his home were treated to top-of-the-line dinner on Wednesday night. “That’s my other family, the people who I work with,” he said. “They’ve been supportive along the way. When they found out how wonderful these people were who were helping me, right away they told me to bring them to the restaurant, we want to treat these people who are being so nice to you. We want to make them feel welcome because they’re helping you, and if they’re helping you, they’re helping us because we’re a family. This is my brother! I am in tears after hearing this story in full version. I live in the UK and despite my wishes I was unable to help. I will be forever grateful to this AMAZING!!!! group of people, GOD bless them. My brother is one of the most hard workers persons I have ever met, and I couldn’t understand why someone like him had to be without a house he has managed to buy with his hard work. Nature has its weird ways and sometimes plays nasty tricks on us, moreover this is an incredible example that good people still exist. Thank you, thank you, thank you.